This video is filled with tons of visual reinforcements. Tattoos, piercings and various hairstyles inhabit a scene where being yourself is the most important thing. I respect anything that unifies our individuality. In a world where media generated hoopla makes mainstream decisions, groups like Granny 4 Barrel thrive in the absurdity of our so called ‘modern existence’. 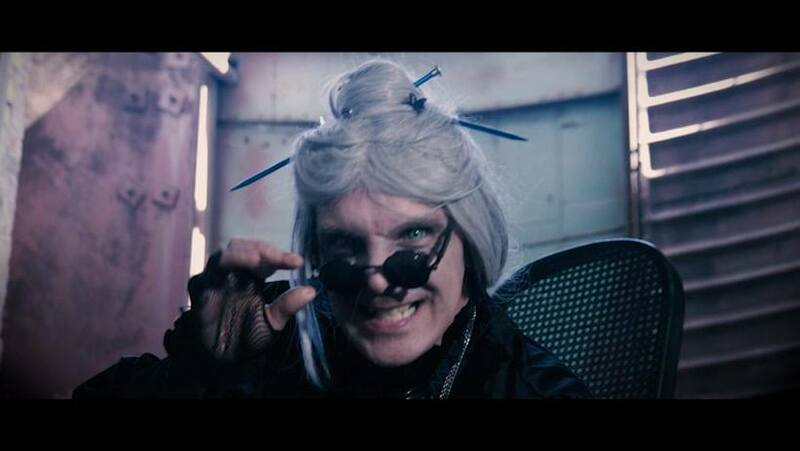 I initially wasn’t sure what to expect from this band but as soon as I saw the vocalist dressed up like Norman Bates from Psycho or maybe ‘Granny’ from The Beverly Hillbillies I was hooked. I appreciate a good gimmick and a seemingly old woman fronting a metal band definitely applies but the lure of the band doesn’t end there. 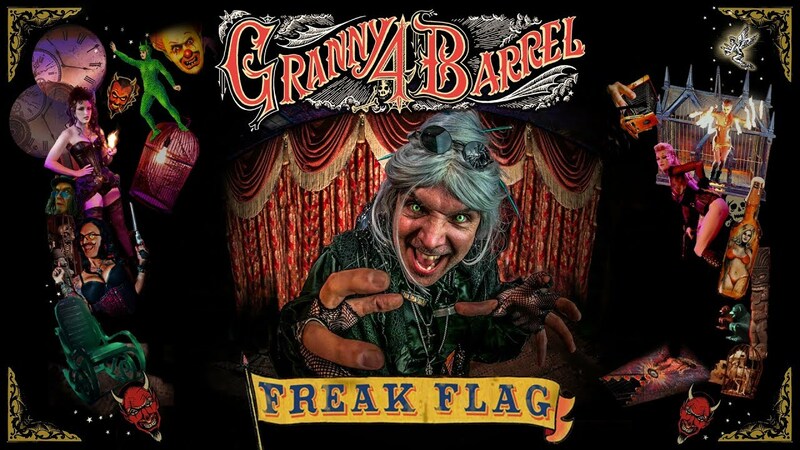 The music of Granny 4 Barrel is folk metal meets industrial with a bit of country thrown in. Hypnotic beats and penetrating violins dressed with a lyrical content that redefines the underground’s definition of solidarity. This video is filled with tons of visual reinforcements. Tattoos, piercings and various hairstyles inhabit a scene where being yourself is the most important thing. My favorite part of the video is near the opening. The band has just begun to play and granny is on stage jamming out in a rocking chair!